Violations for reckless driving and failure to yield right of way are the top two behaviors for predicting future crash involvement, according to analysis yielded from the American Transportation Research Institute’s updated Crash Predictor Model. The Crash Predictor Model quantifies the likelihood of future crash involvement for truck operators based on certain driving behaviors. ATRI announced an updated model — and presented new findings from that model — July 31. ATRI’s analysis is based on data collected from more than 435,000 U.S. truck drivers over the course of two years and reveals about a dozen behaviors that raise by more than 50% a driver’s risk of getting in a crash. ATRI found that if a driver had a reckless driving violation, the likelihood of a crash increased by 114%. If a driver had a violation for failing to yield right of way, the likelihood increased by 101%. The analysis also identifies violations marking failure to remain in the proper lane, failure to use signals, improper passing and erratic lane changes as behaviors that increase the likelihood of a future crash. ATRI’s model is meant to help trucking firms mold training courses for their drivers. “ATRI’s Crash Predictor Model is a key input to our driver hiring and training practices. Safety is our first concern, and by understanding how driver histories relate to future crash probability, we can develop targeted solutions for minimizing safety risks,” said John Prewitt, president of Tideport Distributing Inc., a tank truck company based outside of Houston. This latest update marks the third iteration of ATRI’s model. The first was introduced in 2005, and a subsequent version was released in 2011. ATRI Vice President Dan Murray said that some of the new analysis offered in the current model includes the impact of age and gender on crash probability. On the whole, the research found that women were safer truck drivers than men. Men were 88% more likely than women to have a reckless driving conviction. Gender also bore an impact on the likelihood of crash involvement. For example, men were 20% more likely to be involved in a crash than women. 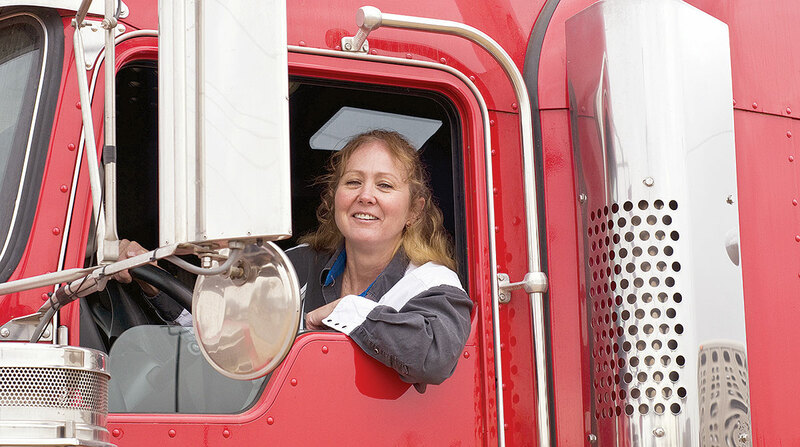 Women constitute just 6% of all truck drivers, according to WIT. Murray said the gender analysis was particularly intriguing because ATRI identifies women as a potential target market for the industrywide driver shortage. American Trucking Associations last year reported the shortage at more than 50,000 drivers. Murray said these findings should encourage more recruiters to consider women as a labor source. He also mentioned improvements that have been made to make the industry more female-friendly, such as improved lighting in rest areas, ergonomically correct drivers’ seats and automatic transmissions in trucks. “I think it’s going to become more compelling to pursue that target market now that we know there’s a safety benefit,” Murray said. The age analysis revealed that a lot of the behaviors that have future crash probabilities are occurring among younger drivers. For example, drivers between the ages of 20 and 29 were more likely to have convictions for speeding more than 15 miles over the speed limit than other age groups. Murray said young drivers, like women, could potentially redress the driver shortage. He also said that the analysis, which outlines which violations and convictions are the most common among certain age demographics, may offer trucking companies an idea of how to shape driver training programs.